Minit lives and dies by the time-constraining gimmick it possesses. The constant specter of death makes the short quest feel like an epic adventure, but the game as a whole doesn't rise above being more than a curious novelty. The saying that “every second counts” rarely applies to everyday life. Sure, there are certain situations where time is critical, such as taking a test or playing a sport, but day to day life typically isn’t defined by seconds. What if that adage was true, though? That every second needs to be managed in a life or death situation. 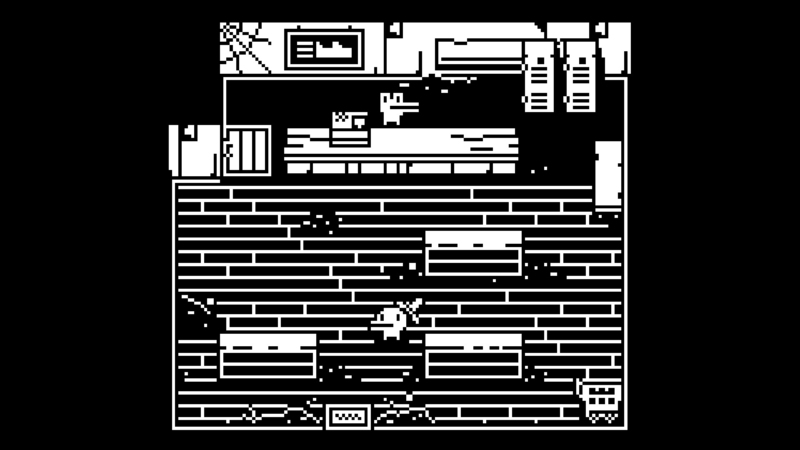 Such is the case with Minit, a collaborative effort from Kitty Calis, Jan Willem Nijman, Jukio Kallio and Dominik Johann. Time is not on your side, and every second wasted is a step closer to the end. If you weren’t careful managing your time before, now is a good time to start. Going against every piece of video game logic out there, picking up that random sword you came across was NOT smart. While the sword is nice and powerful, the weapon also holds a horrible curse. Whoever wields it is doomed to die every sixty seconds. There is no way to prevent this or slow it down. Since, presumably, you don’t want to be doomed to living life sixty seconds at a time, you must find a way to break this terrible burden. In order to do so, you’ll need to explore your island home fully. Every cave, bar and haunted house holds something important that will get you one step further to your goal. While the fact that you are always on the cusp of death may seem too difficult to deal with, Minit plays surprisingly fair. As you progress through the game, every new skill or item you acquire stays with you even after you die. So, once you unlock the ability to push boxes or the gloves needed to chop down trees, it doesn’t matter if you die immediately after getting them, you’ll have it for your next run. The same goes for the few additional starting locations you can unlock. In the beginning, you only have your house, but later safe houses open up once you reach them. These can then be used as a bookmark of sorts for you to pick up closer to where you may have just died. You may be dying all the time, but it’s not like you’re starting from scratch each time. Each successful run in Minit will feature a good balance between combat and exploration. Combat is noticeably light, with most of the enemies you come across either stationary (snakes) or more annoying than menacing (bandits). You have only two attacks (strike or throw), so the combat is simpler than you may be used to. The world you inhabit is pretty mysterious, and the game is usually vague on what you are actually supposed to be doing, so be prepared to do a lot of digging for clues. One lengthy quest, for this game at least, has you looking for different hotel guests, while another has you delivering water to a man stuck in the desert. While there are tasks that need to be handled, such as the two I just mentioned, there are also several other side-quests that can be completed at your leisure. Considering the time limit gimmick that it sports, I suppose it’s not surprising that Minit is not a particularly long game. My main run took about two and a half hours to complete, although that carries the caveat that I was only reached 71% completion. You could maybe tack on another hour or so if you want to 100% it, and the option of new game + unlocks after you finish the game for the first time, so it’s not entirely lacking in replay value. I’m not sure I will have any interest in jumping back in, though. Honestly, if there was another hour or so packed in here, I’m pretty sure I would have gotten sick of the 60 second gimmick. Having to constantly retrace your steps can become grating, and the lack of direction given to you at times can seem even more frustrating due to it. Thankfully, the experience is short enough that these issues are only mildly annoying, as opposed to becoming full-blown problems. 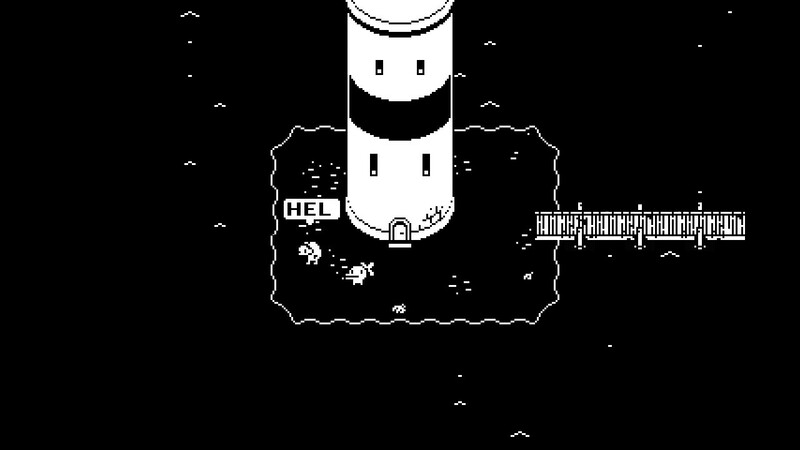 Although I feel like I’m starting to get sick of the simple visual style Minit uses, there is some charm to be found. The player character, some type of blob-looking thing, is delightful, and any game that gives you a dog to hang around with can’t be too bad. The rest of the world is pretty bland, though, from the boring locales to the stale black and white palette. A small team worked on this, so I get it, but the game’s still not appealing visually. The sound design fares a little better, at least. The soundtrack, while occasionally repetitive, fits the time limit gimmic. And I have a soft spot in my heart for the “dialogue” of the characters, which resembles the grunts and growls of the original Star Fox. It’s charmingly low-key. Minit is a game entirely defined by the gimmick it possesses. The actual dungeon-crawling gameplay is hardly extraordinary, but the 60 second-long lives the game gives you elevates it to a fresh curiosity. A quest that would normally take minutes to complete, instead feels like a Herculean-effort, as you meticulously work to piece together the answer you seek. And just when you think you’re getting tired of dying, the title has the decency to wrap itself up. I’m not trying to put the game down, and I actually had fun with it, but whether or not you will depends on if you think it rises above being a novelty. This review was based on the Xbox One version of the game, which was provided by Devolver Digital.